When Kanye West performs, he entertains in more ways than one. Seriously, even if you dislike the performance, I guarantee that you still talk about it afterwards. Or maybe you even pause the performance on your DVR in order to talk about it as it's going on. So, it's really not that odd of a question to ask whether or not the chart topper and statement maker is going do his thing whenever the opportunity arises. 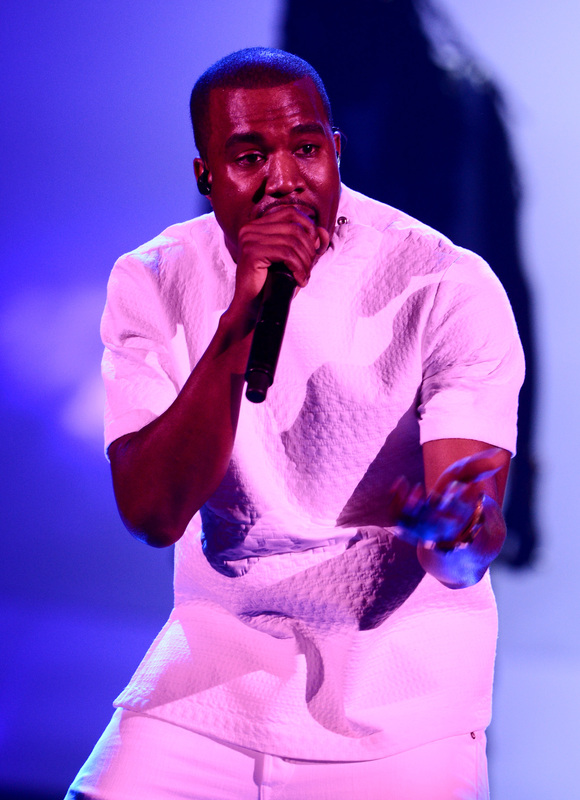 And seeing as the show is coming right up: Is Kanye West performing at the 2016 BET Awards? On the BET Awards site, West is sadly not under their extensive and impressive list of performers. I know, I know. It's a major disappointment. But that said, West is nominated for both Best Collaboration (with John Legend and Big Sean for "One Man Can Change the World") and Best Male Hip-Hop Artist. If he gains a win for either of those accolades, he could be making his way to the stage where, knowing Yeezus, legitimately anything could happen. Am I saying that West will take the stage and make an impromptu performance? No, not at all. I am saying it could happen. After all, he is no stranger to award show stunts, just ask Taylor Swift. Or if you were paying any attention to the 2015 VMAs you'd know that he stole the show from the audience with his free spirited dance moves. There are a couple small clues that West could be taking the stage in another capacity. According to International Business Times, West is reportedly receiving the Ultimate Icon Award, and the the BET Awards Wikipedia page lists him as a performer. But you'll have to take both of these with a grain of salt since BET hasn't announced West receiving an award or performing. Bustle has reached out to BET for comment on these claims, but has not yet heard back. To put it plainly, as of now, I cannot say with complete certainty that West will perform. I can only assume that if he's there, he will most certainly make his presence known. And if that happens by way of an unforgettable performance, that's just fine with me.